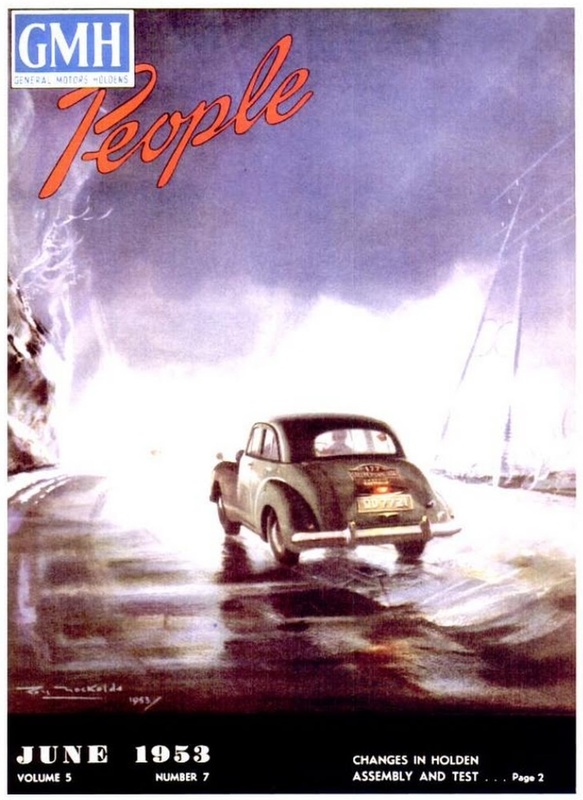 Posted: May 5, 2015 in Obscurities, Who,What,Where & When...? 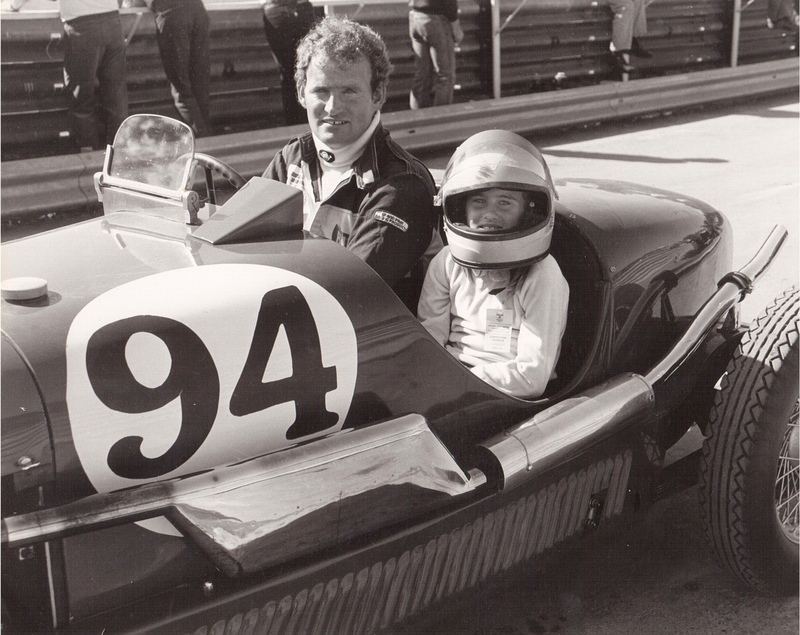 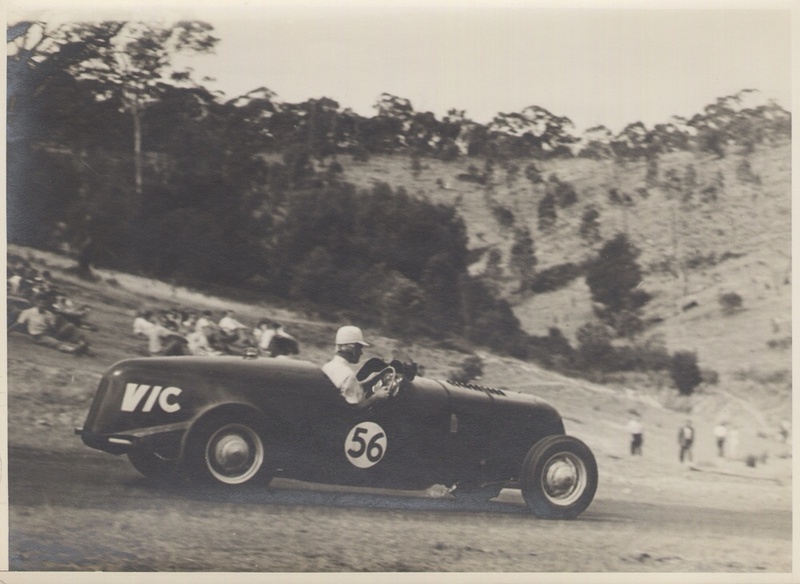 Whiteford commenced his racing career on motor bikes and prepared cars for others. 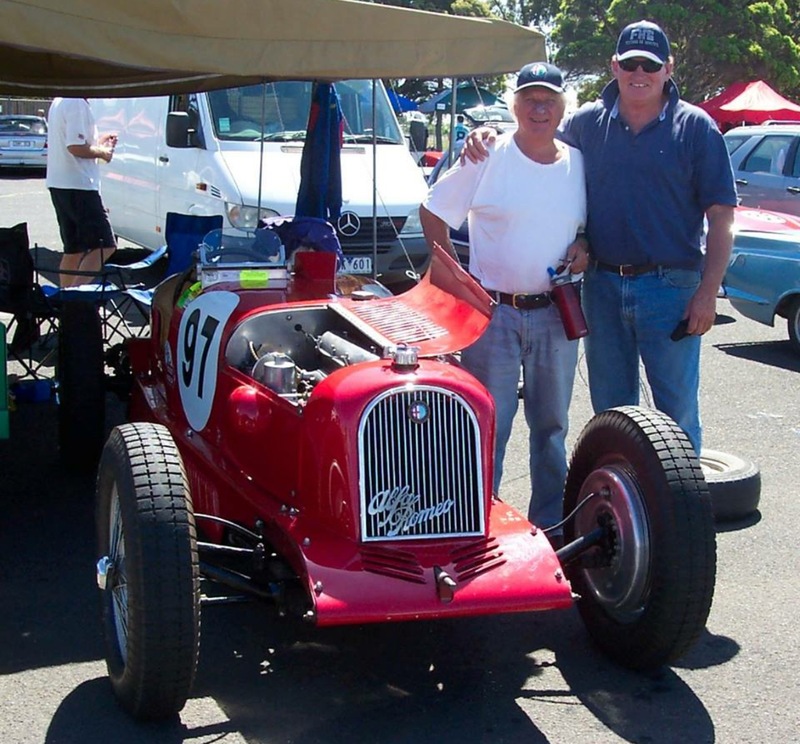 He decided to convert an ex-Victorian Forestry Commission Ford ute which he bought for £67. 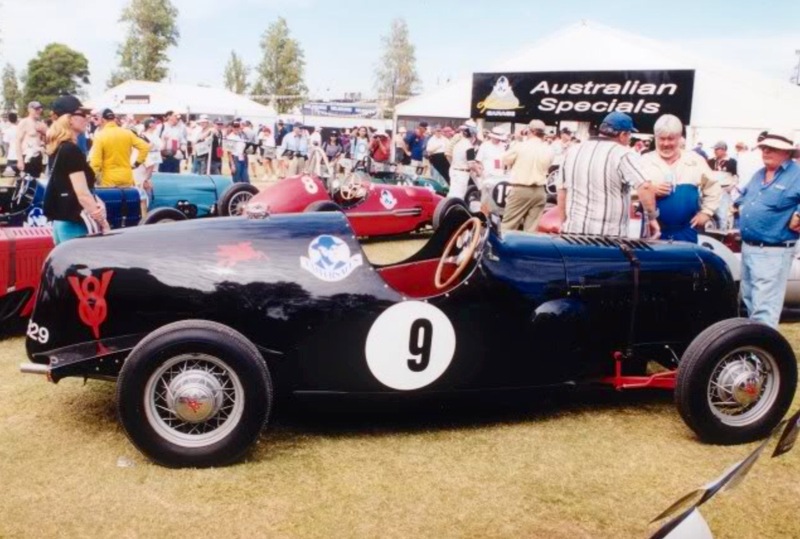 Based entirely on parts salvaged from the utility, it was carefully rebuilt in an Albert Park, Melbourne back yard utilising sophisticated building materials including bed iron frames and panelling from the Footscray tip!, with the chassis lowered and a 2 seat body made. 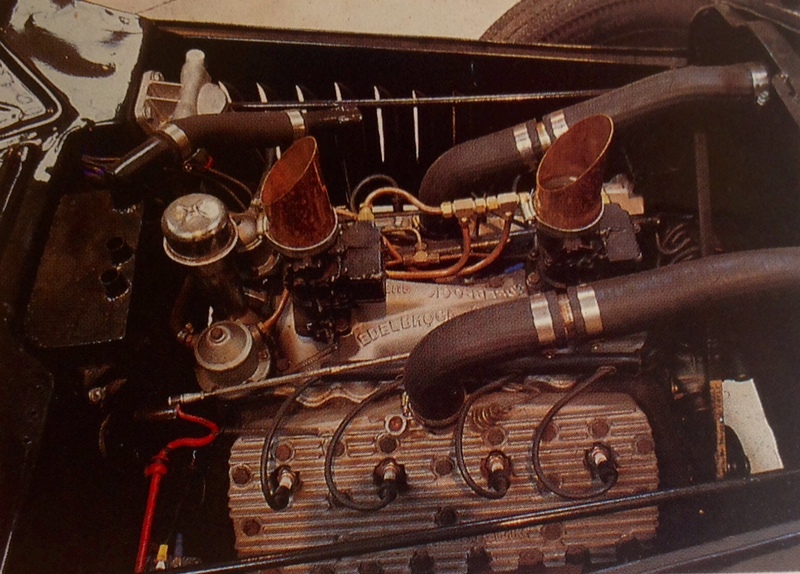 A coat of black paint provided its name. 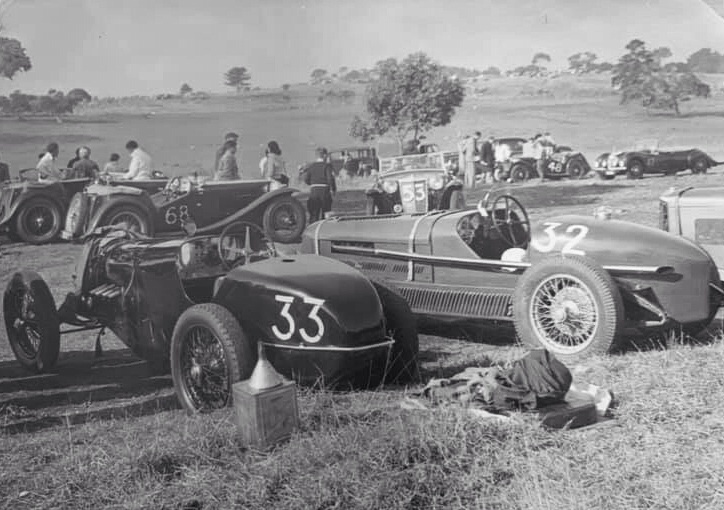 John Blanden reported that Bess ran for the first time at Albert Park on 15 December 1939, it’s first meeting was at Lobethal, SA on New Years Day 1940. 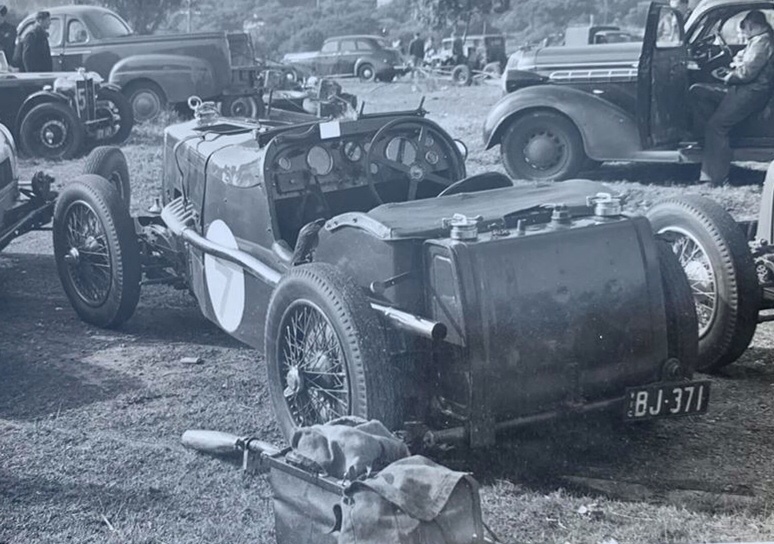 The car popped an engine at Wirlinga, Albury, having boiled at Lobethal as well and was placed into storage during the War, Doug enlisted. 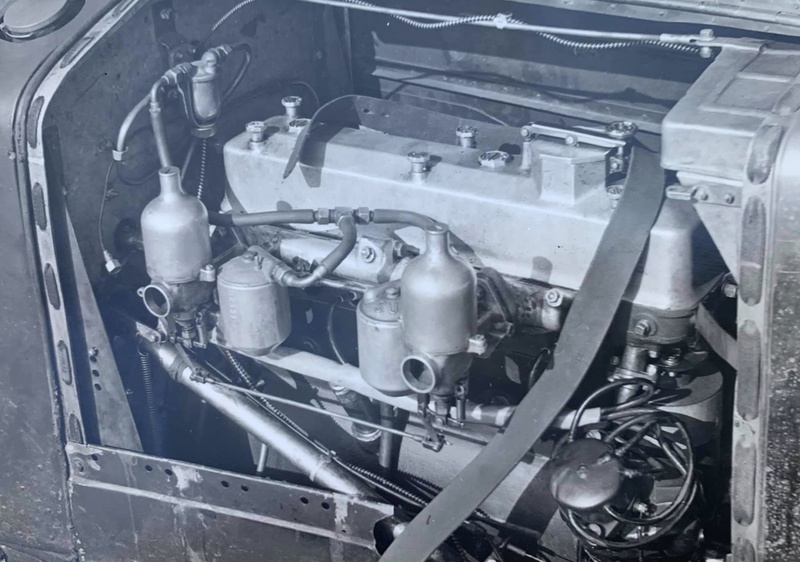 When Whiteford returned from service a Mercury engine was fitted, initially standard, it was progressively modified, benefitting from US Hot Rod experience. 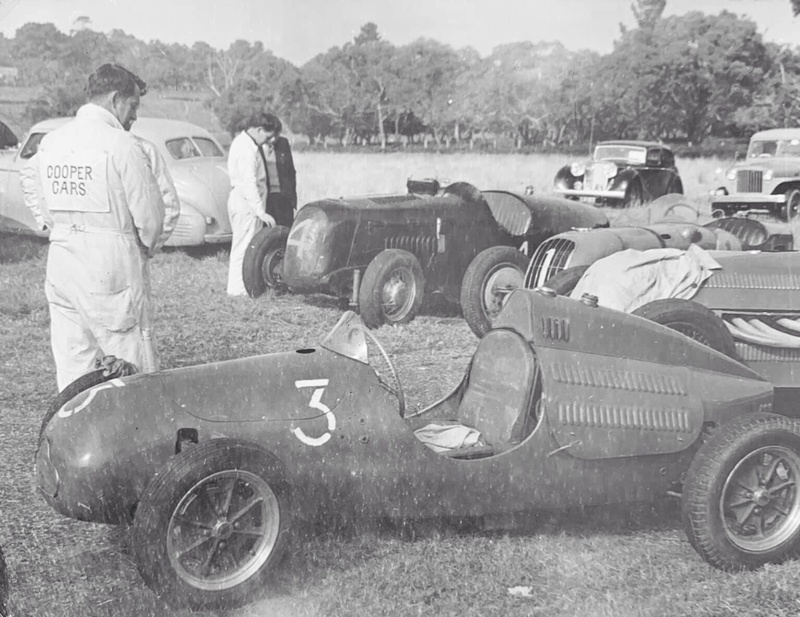 From 1946-52 the car was one of the fastest in the country as it was continually developed, winning 29 races from 40 starts, the statistics vary with the source, inclusive of the 1950 AGP win at Nuriootpa. 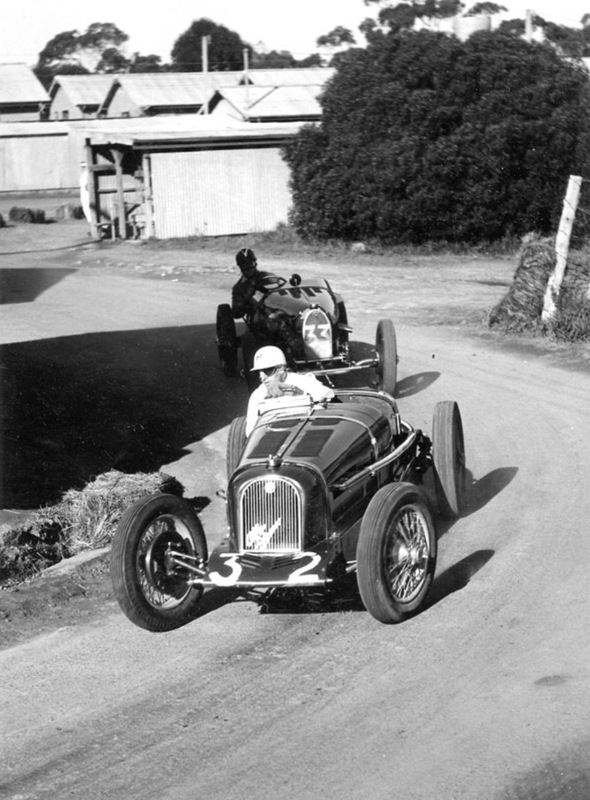 Graham Howard wrote in his summary of Bess in his ‘History of The Australian Grand Prix’…‘Whitefords’ successes with Black Bess came as a direct result of his fanatical devotion to preparing, modifying and maintaining the car, which was complemented by his outstanding driving ability. 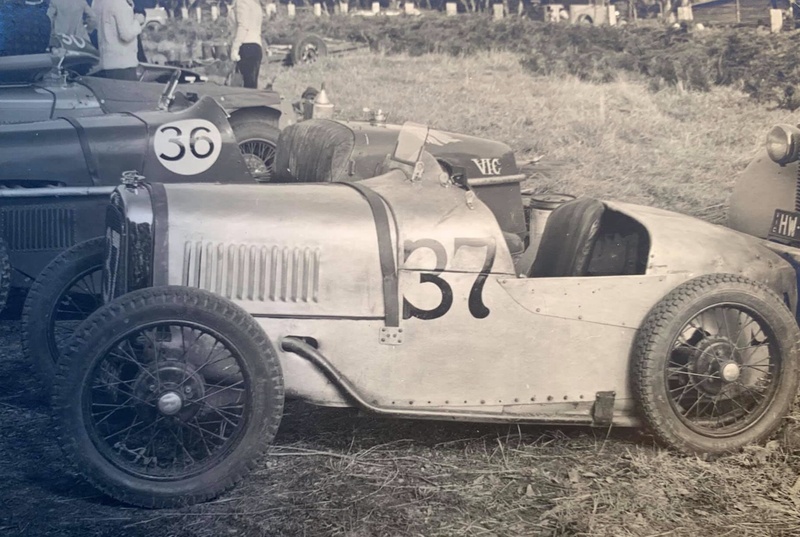 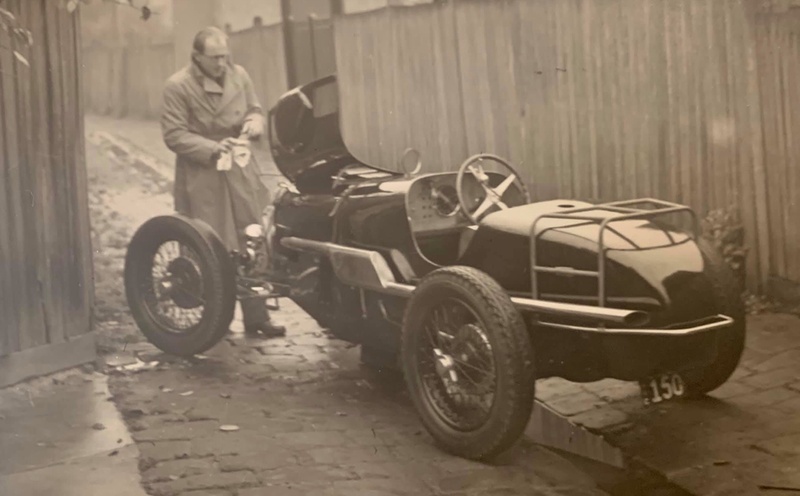 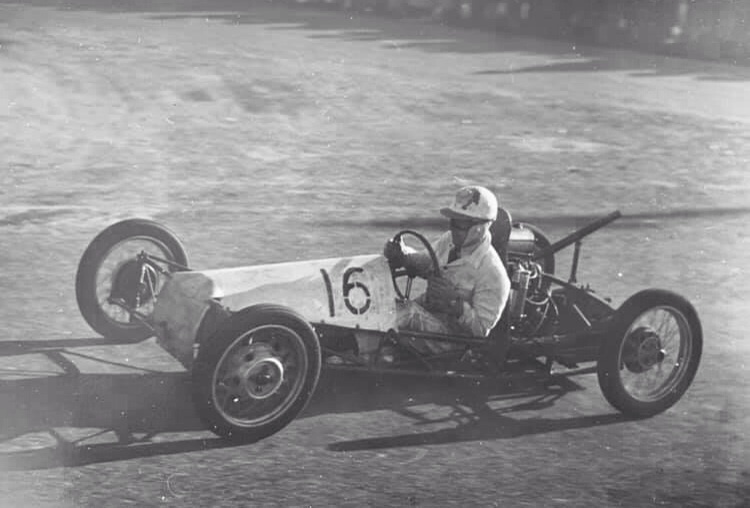 Progressively, Whiteford changed the braking system of the race car from mechanical to hydraulic operation, added telescopic shock absorbers, bored out the engine, fitted twin carburettors, a Scintilla Vertex magneto and high compression cylinder heads. 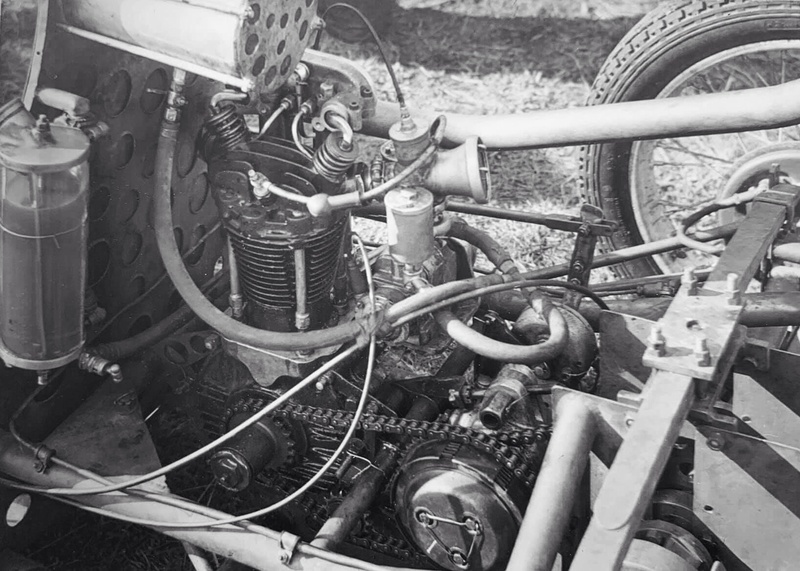 A modified camshaft was imported from America, the cooling system was improved to stop overheating, brake fade was reduced by fabricating special air scoops and the steering gear was reworked to provide a faster response for racing. 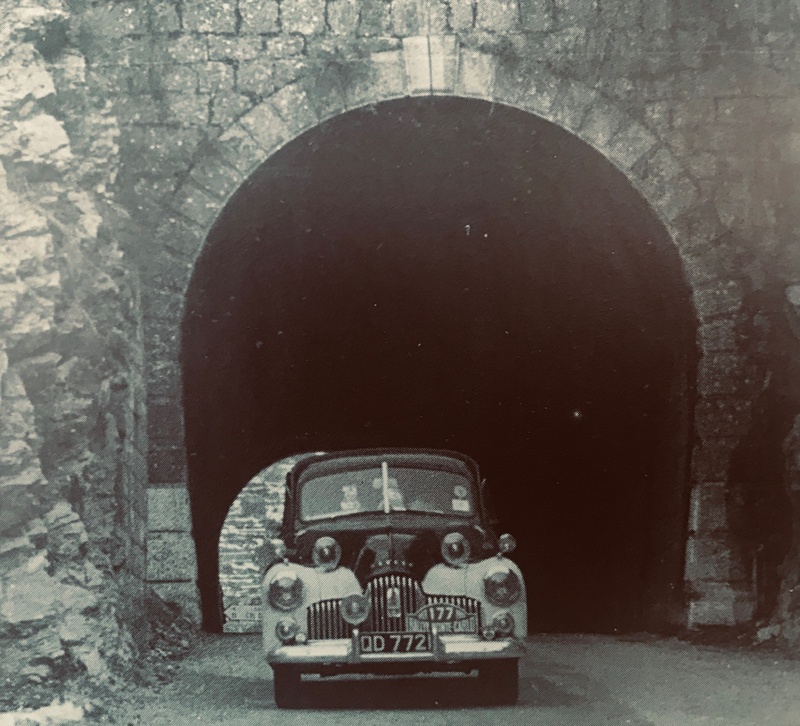 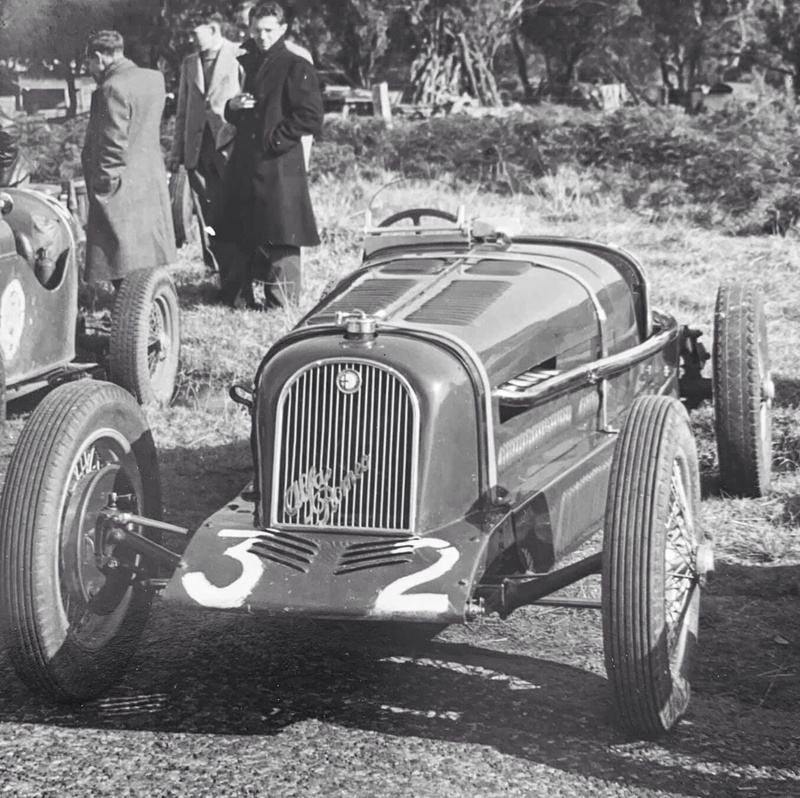 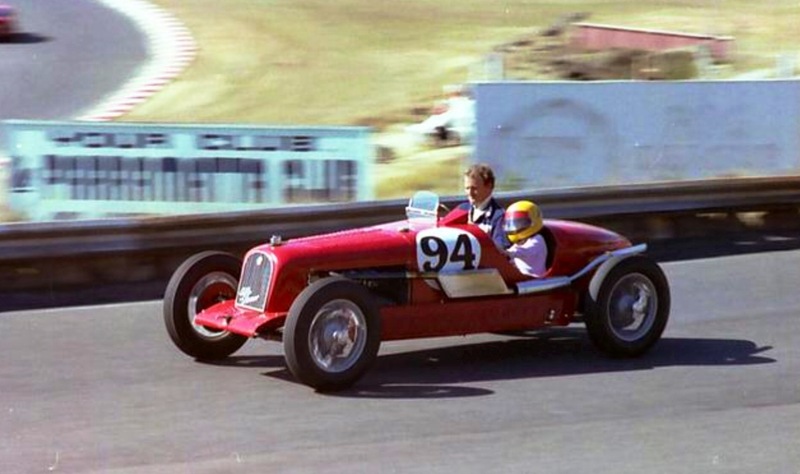 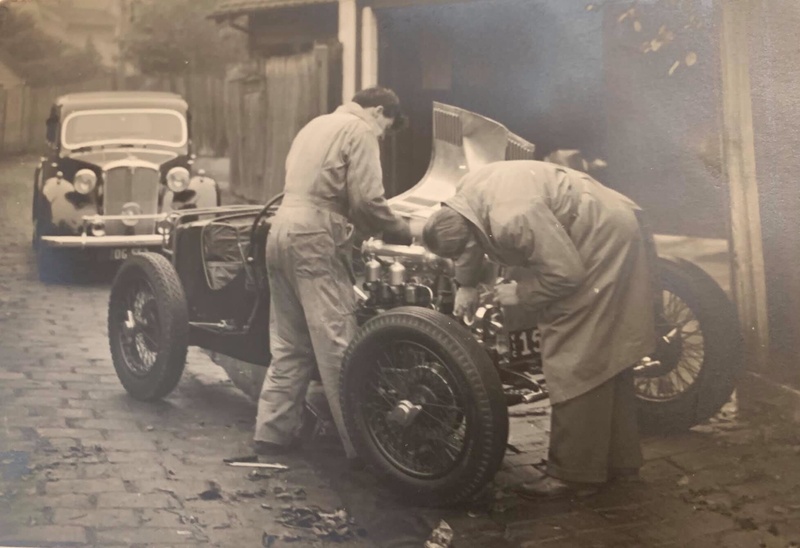 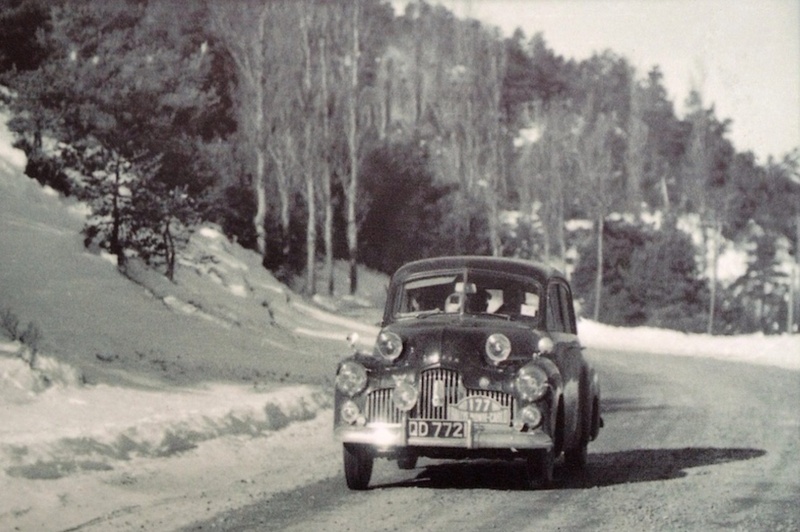 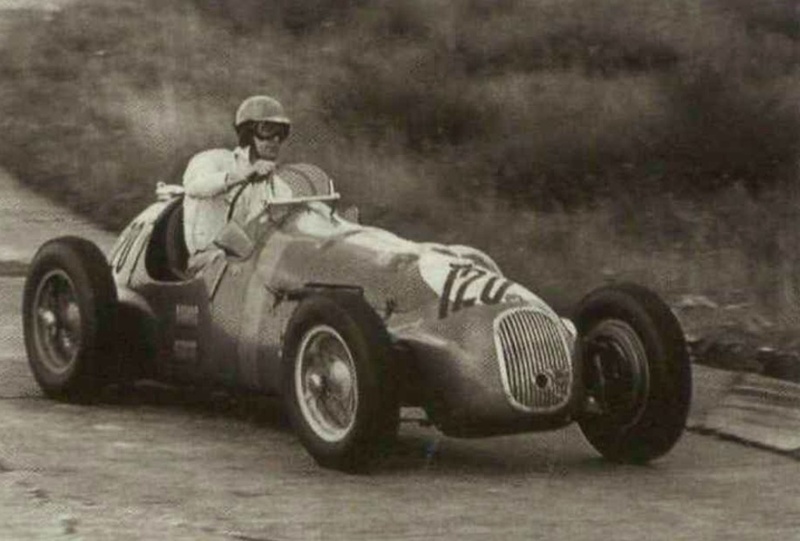 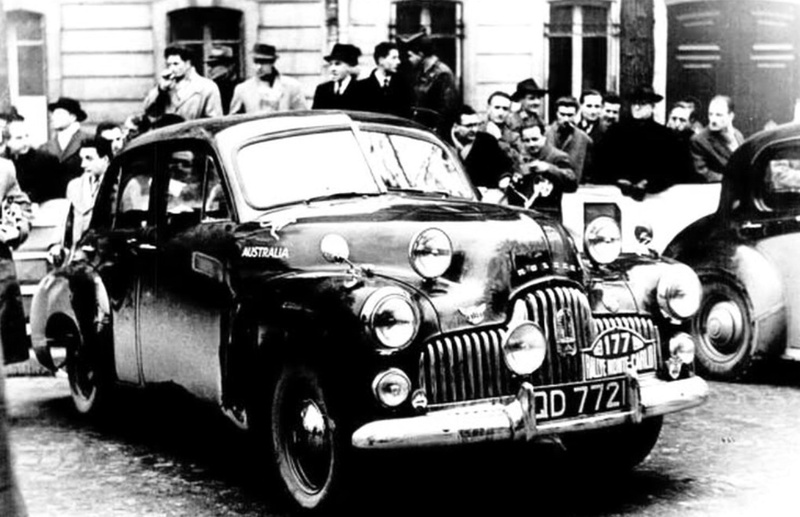 As imported racing cars appeared in greater numbers Bess became steadily obsolete, Doug started to drive a Lago Talbot T26C owned by Geelongs’ Tom Hawkes in 1951 eventually buying the car and winning the 1952 Bathurst and 1953 Albert Park AGP’s in it. 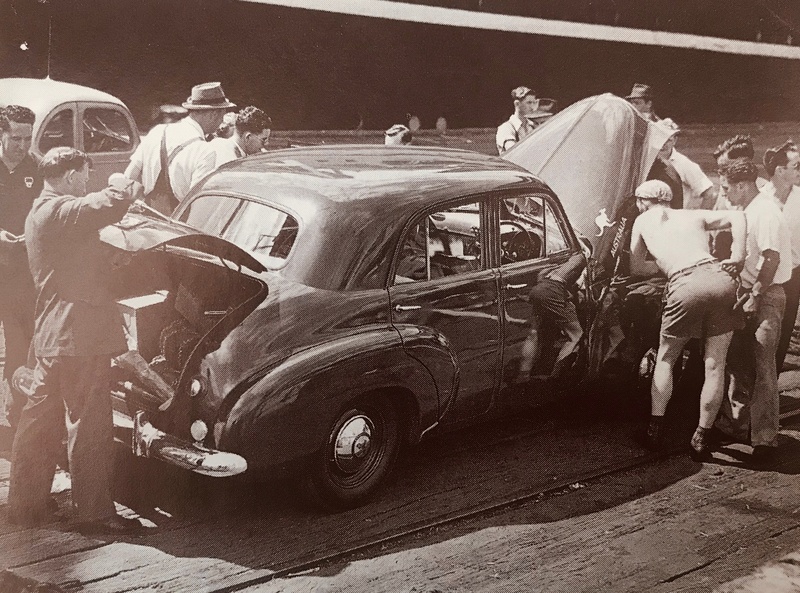 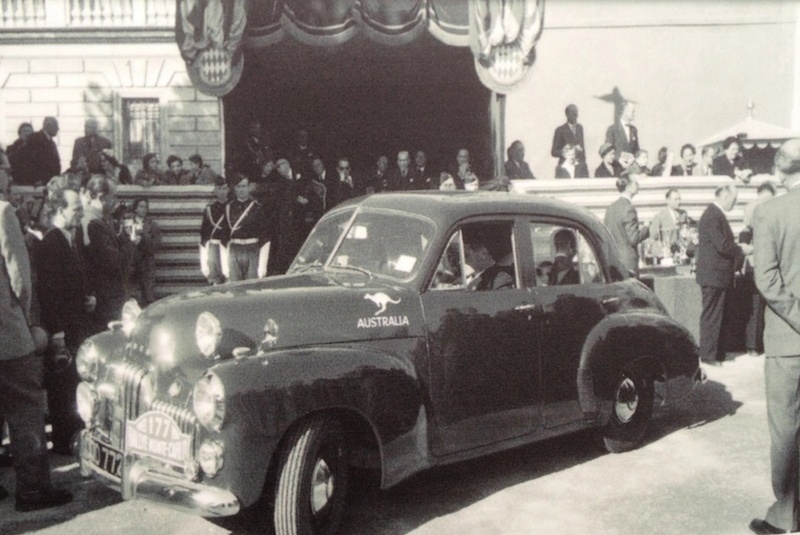 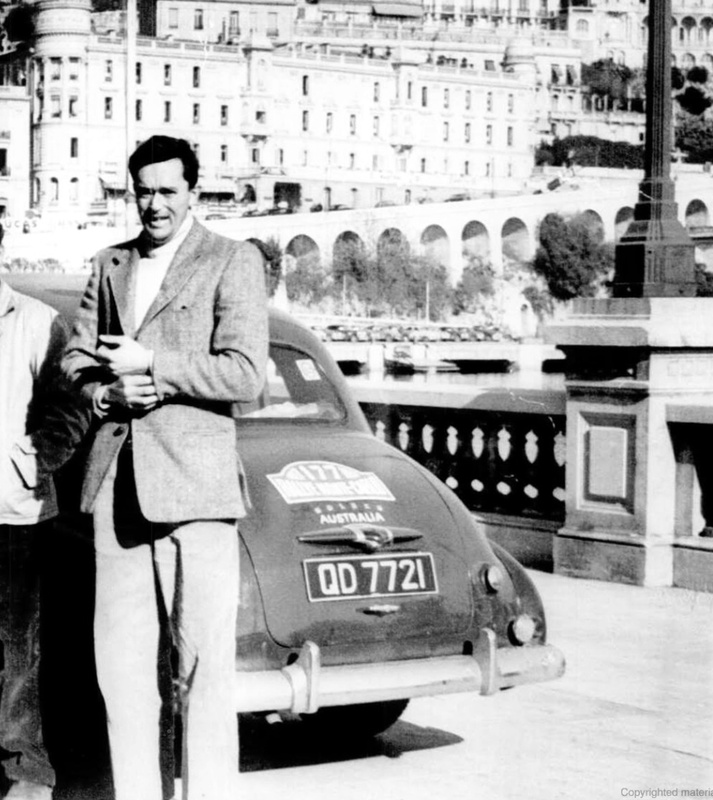 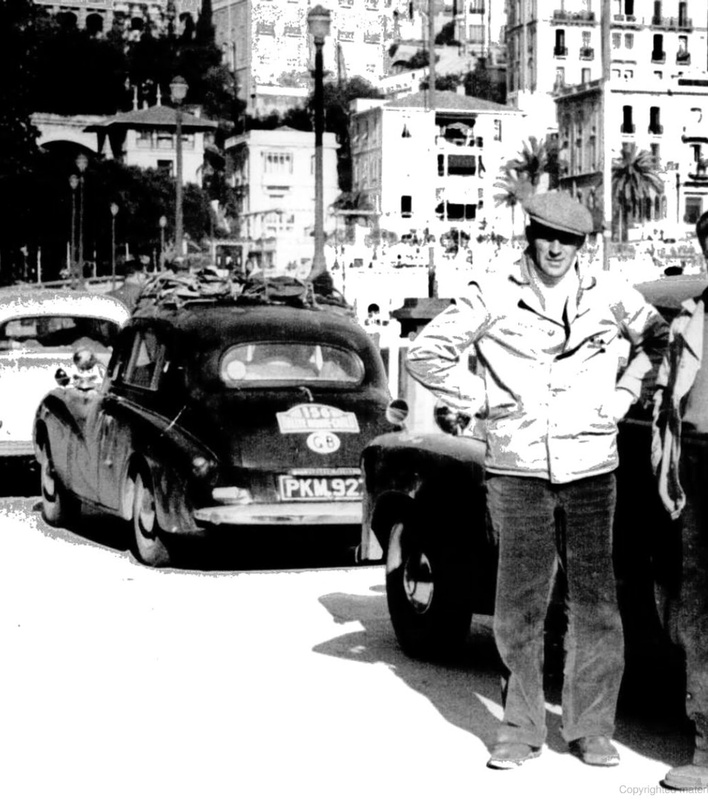 Whiteford retained the car, it appeared occasionally in his hands and sometimes others, having sold the Lago he drove it in the 1954 AGP at Southport on Queenslands’ Gold Coast. 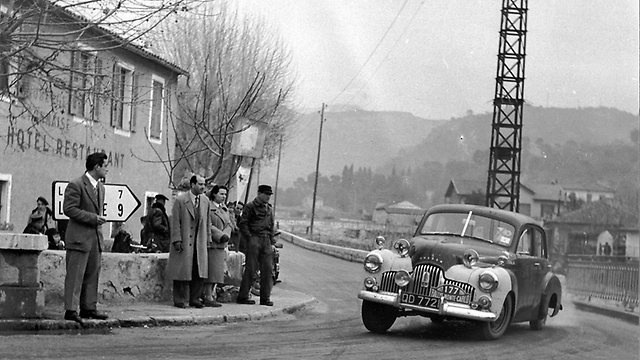 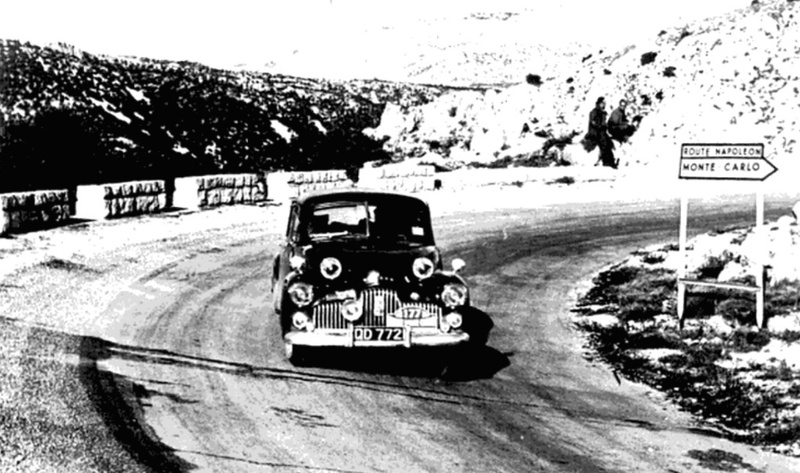 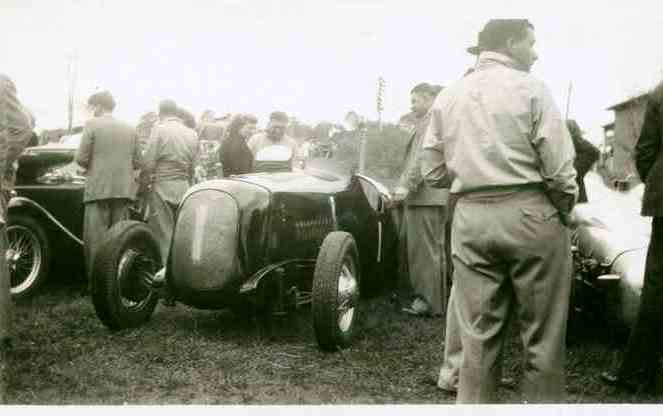 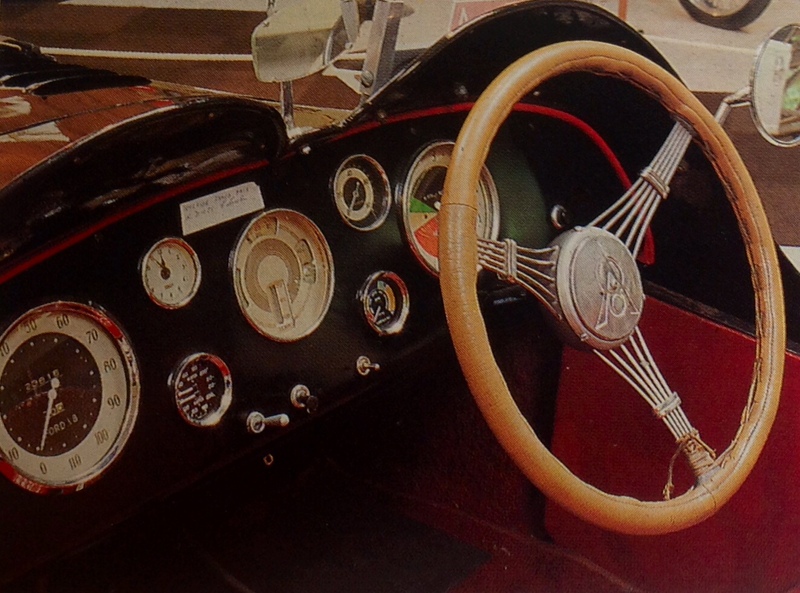 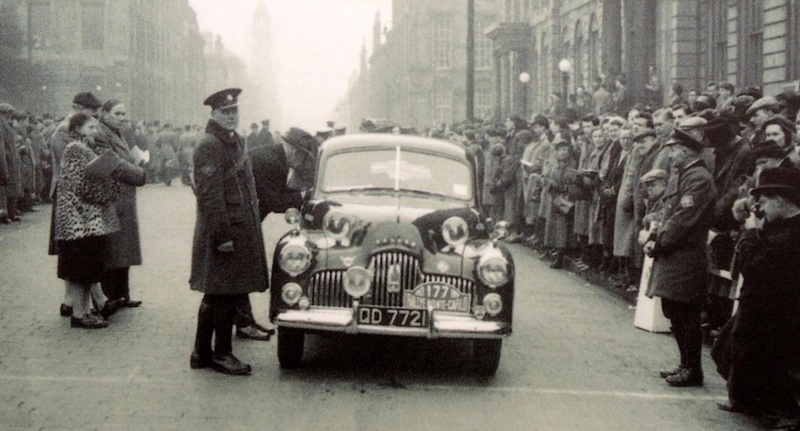 ‘Bess’ raced in 3rd for many laps, amazing given its age and the improved quality of the field, engine maladies eventually caused its retirement in the race won by Lex Davisons’ HWM Jaguar. 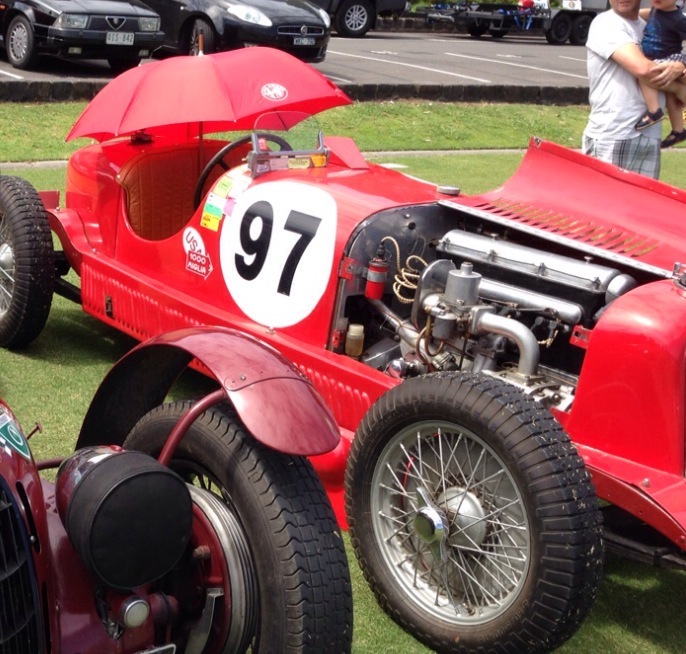 The car is still very much a part of the local historic racing scene. 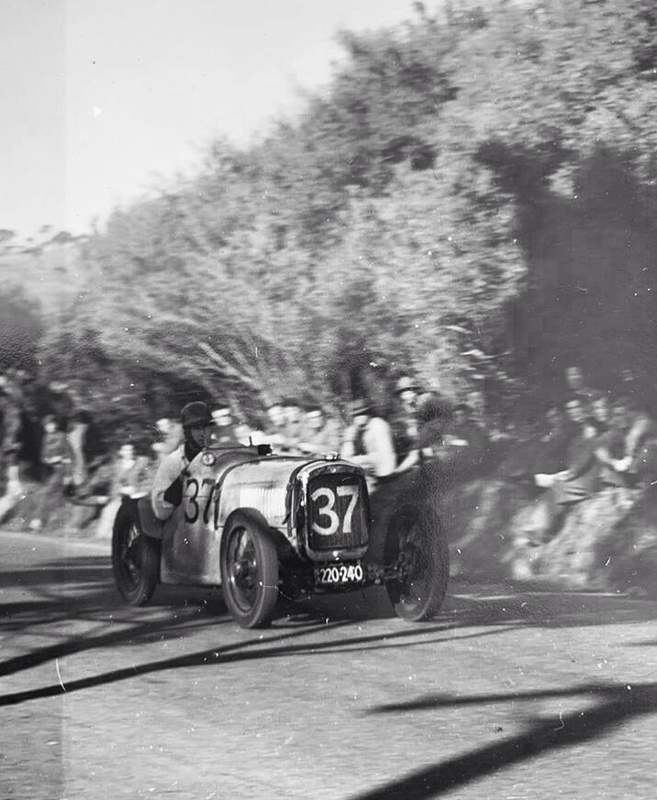 Woodside is a village 40 kilometres from Adelaide. 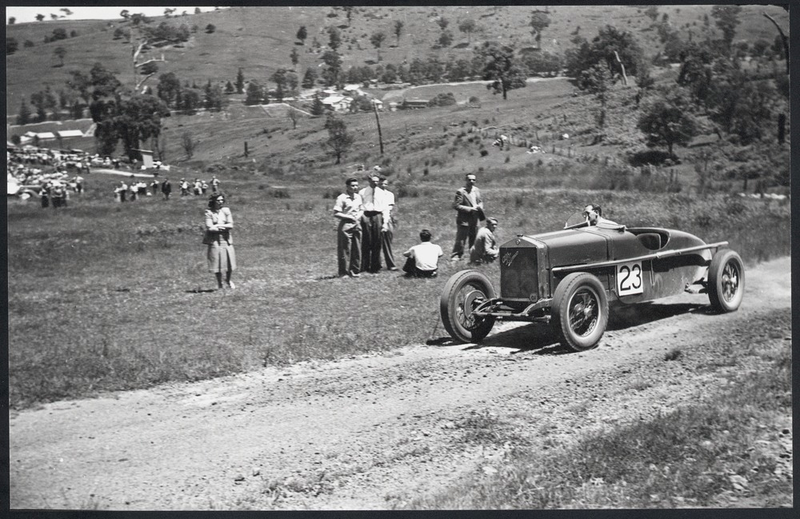 The race, as so many in Australia were at the time, was a handicap, 12 laps, 36 miles in total. 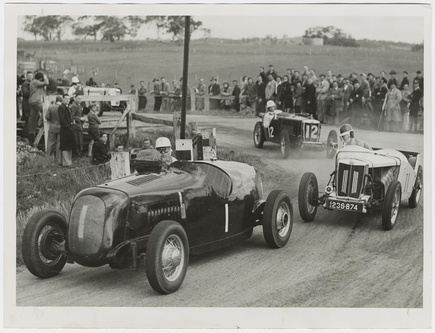 In this day and age of a lot of ‘one make racing’, diversity of cars and their differential performance and the need for handicaps to ‘make a race of it’ seems odd. 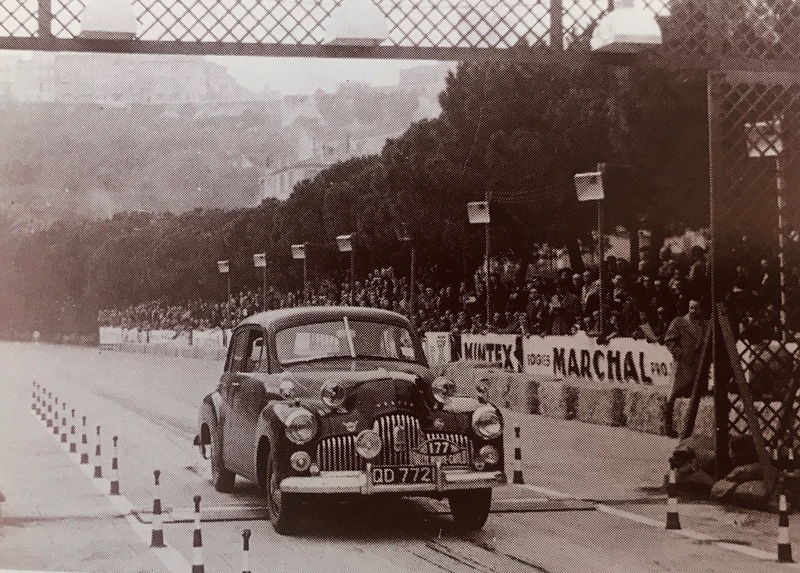 But in the immediate post-war years when money was tight and racing cars scarce across a big continent, it was necessarily the approach. 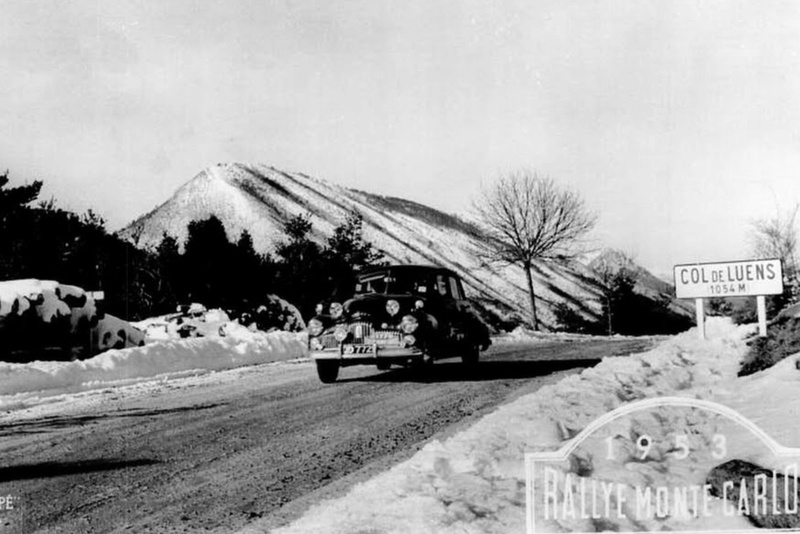 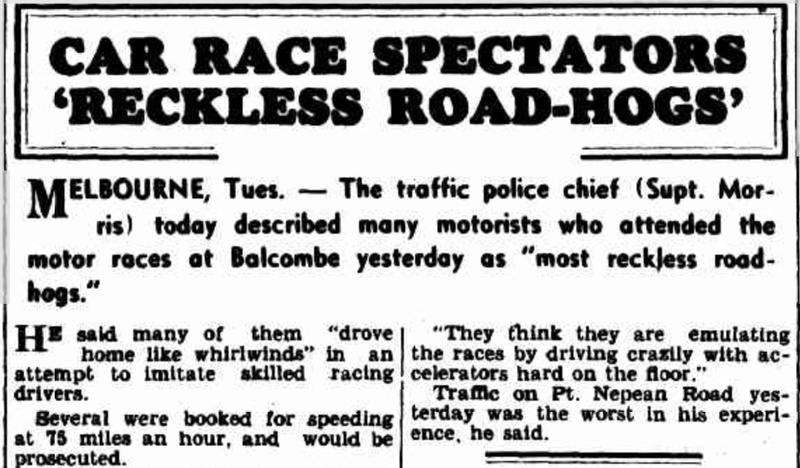 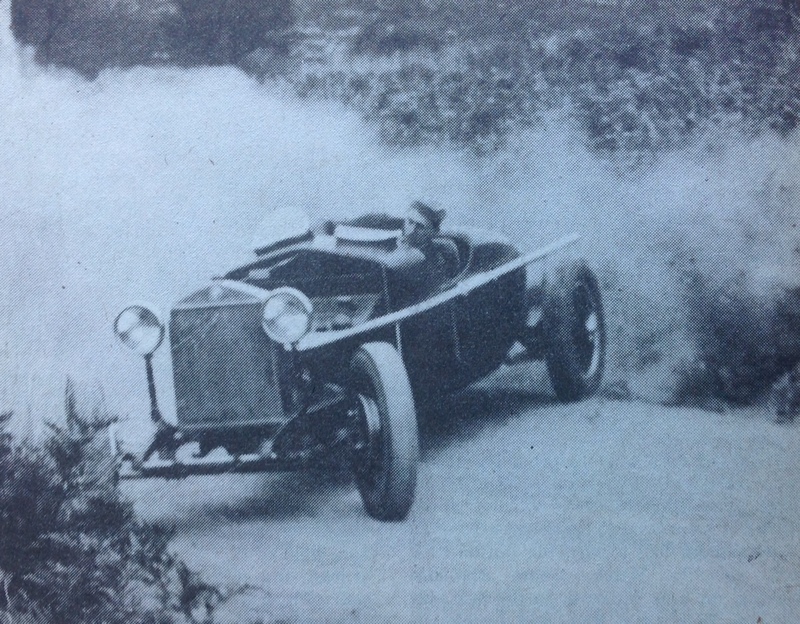 ‘Australian Motor Sports’ report of the event has Whiteford lapping very fast as one of the limit men, finishing 2nd, and Jackson, the car behind Whiteford above ‘…lost his brakes at the Pines and had to extricate his car from the strawbales costing him a lap’. 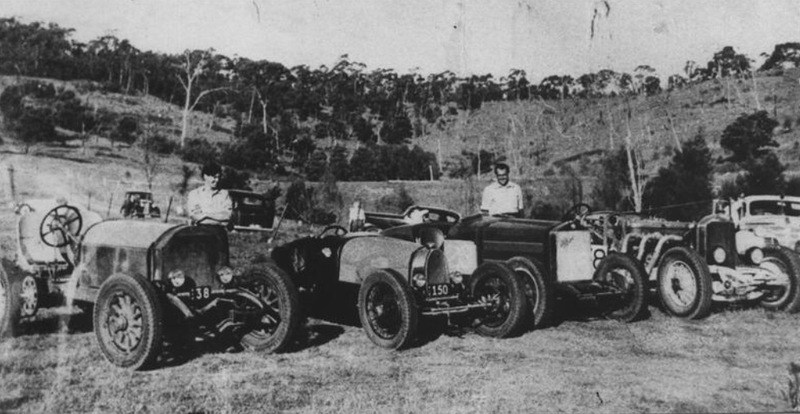 The race was won by the MGTC of W Smith, Whiteford 2nd and D Harvey in another MGTC 3rd…MG’s and MG Spl’s the lifeblood of Australian racing for so long and a good future story in itself. 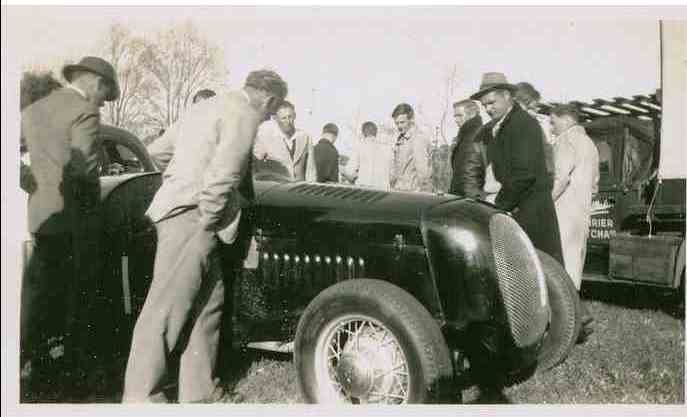 Of some interest for those who read my article on Stan Jones a while back. 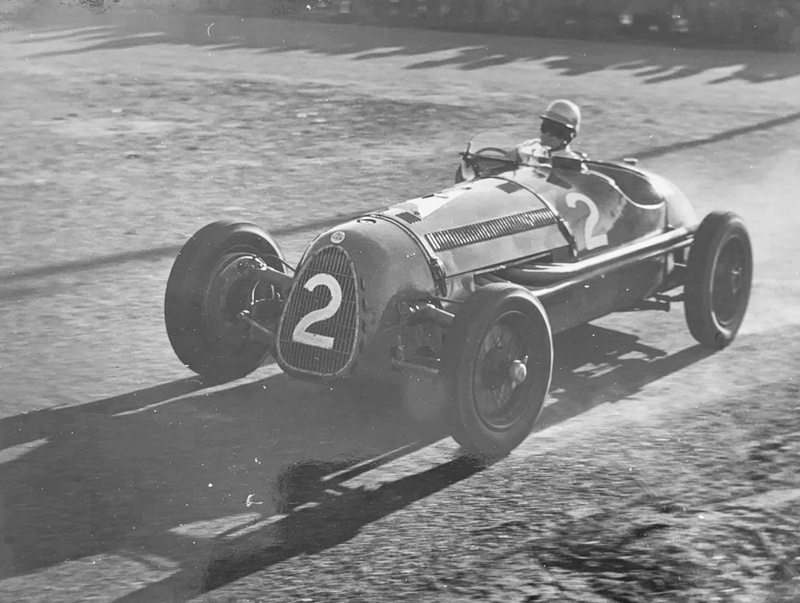 https://primotipo.com/2014/12/26/stan-jones-australian-and-new-zealand-grand-prix-and-gold-star-winner/ . 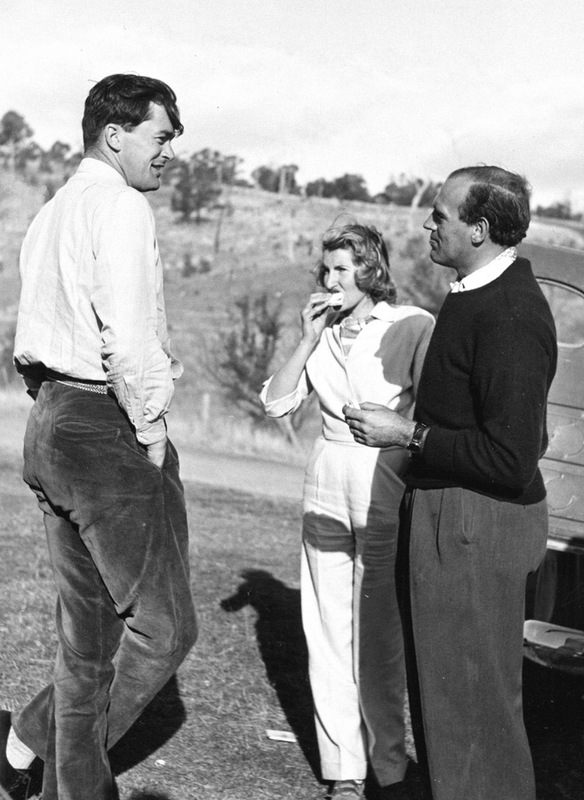 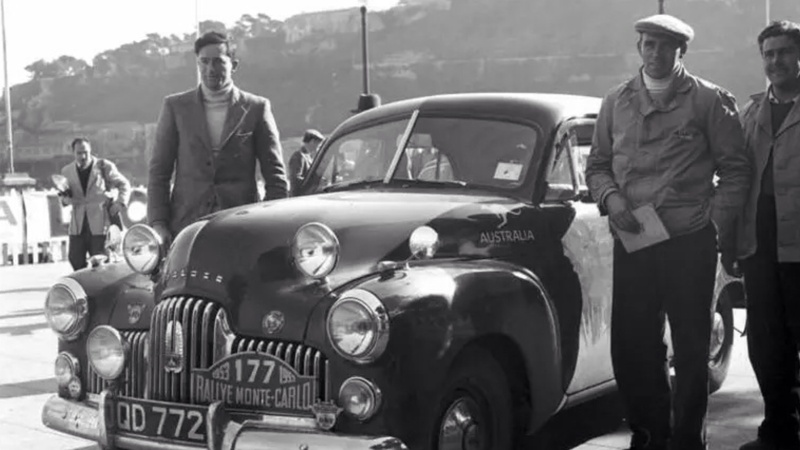 Stanley made his road racing course (as against circuit) debut in his new HRG ‘Bathurst’ 1500 at this meeting, this car perhaps convincing Jones he had the makings of a future champion…Stan, relatively inexperienced diced with Tony Gaze’ similar HRG for much of the race. 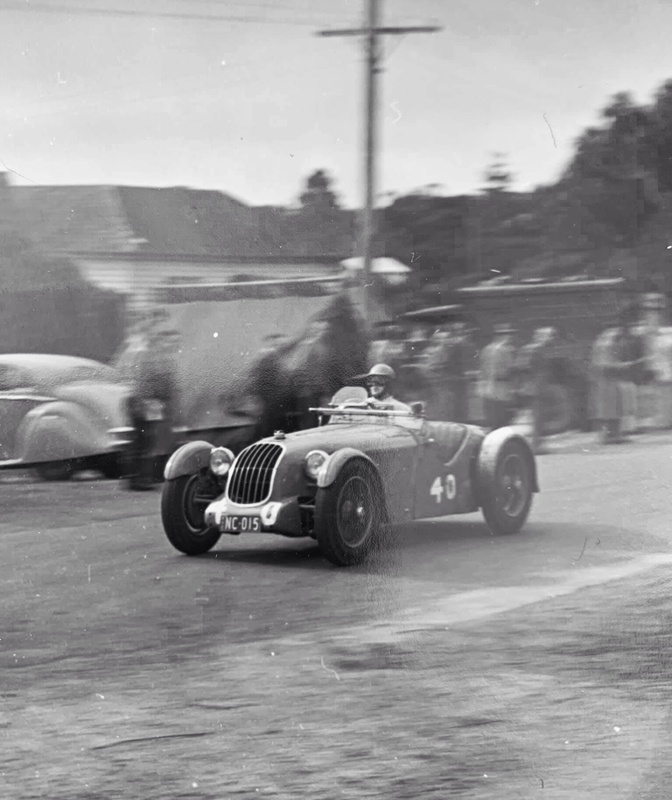 Gaze was 4th, Stan DNF with steering dramas.